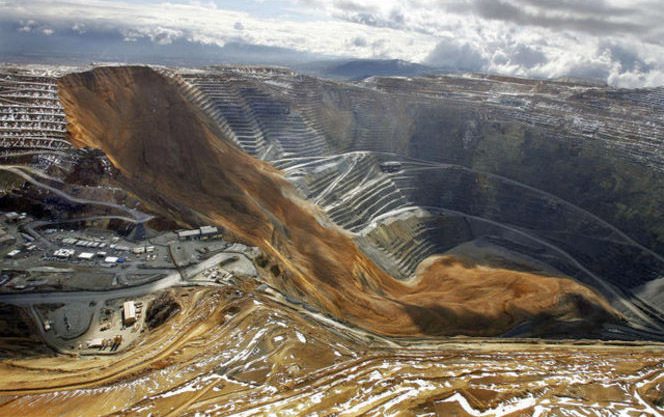 Utah's Bingham Canyon Mine, one of the largest active copper mines in the world, had a massive landslide last night, which makes for quite an extraordinary coppery blur against the orderly terraced geometry of the hole itself. 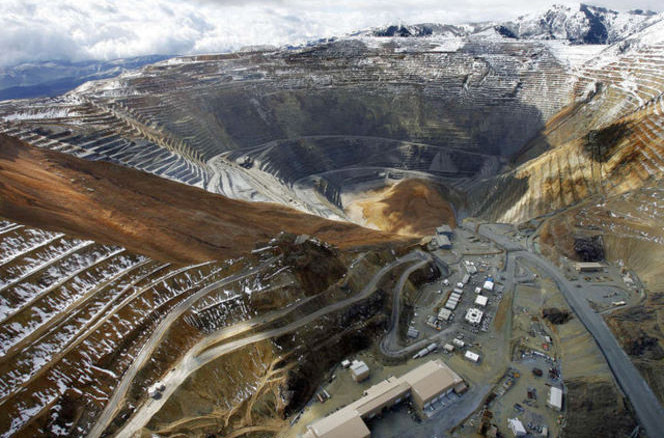 "The copper-mining company [Kennecott] was aware of the impending slide ," local news station KSL reports, "and had warned residents near the mine Wednesday that a slide was possible any day." 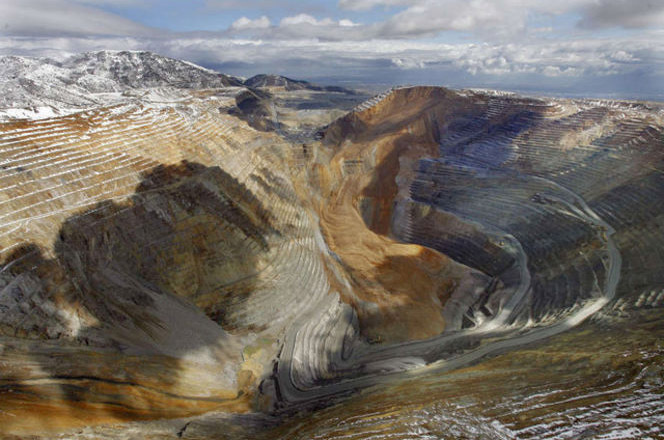 Kennecott engineers had been detecting ground movement as far back as February. At the time, the movement amounted to just fractions of an inch, but it was enough for the company to close and relocate the mine's visitors center. 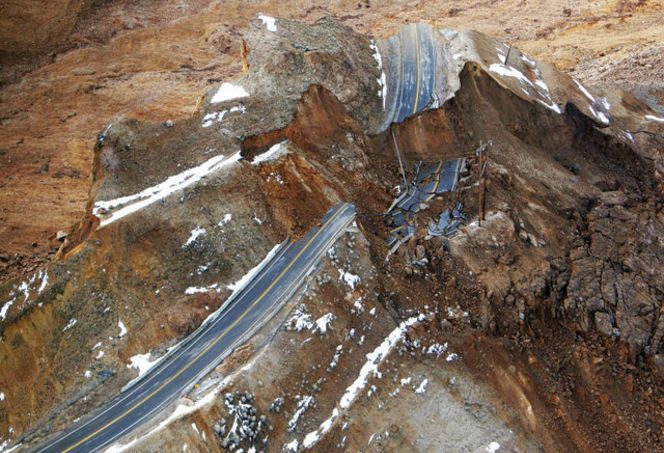 "This is something that we had anticipated," [a company spokesperson] said of the slide. "We knew the slide was imminent. We had relocated machinery, we had rerouted roads, we had rerouted utilities, we had rerouted buildings." 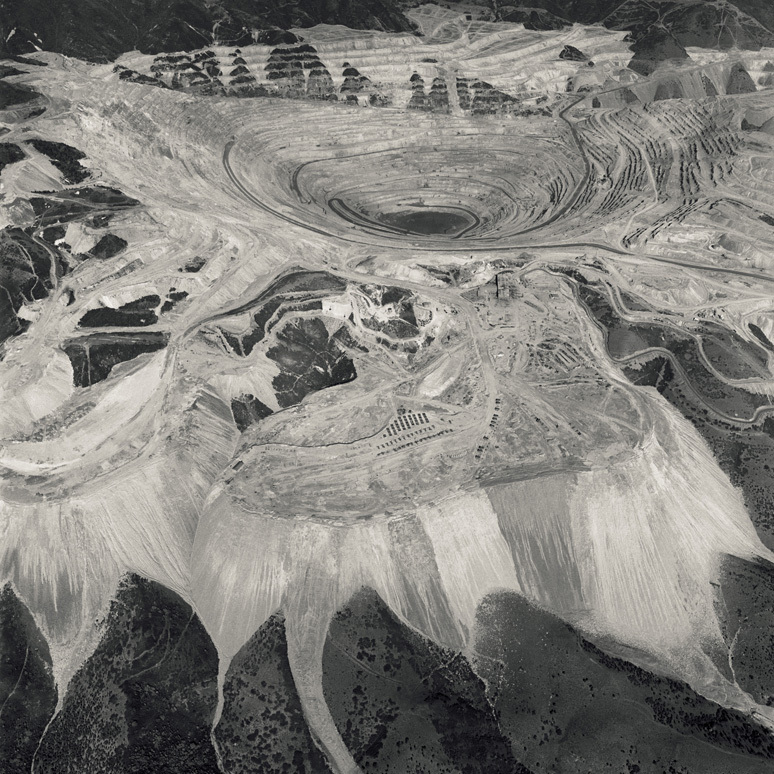 Oddly enough, the Bingham Pit, as it's colloquially known, was the subject of one of the earliest posts on BLDGBLOG, as well as a recurring site of visual investigation in the work of photographer David Maisel. "These sites are the contemplative gardens of our time," Maisel writes, "places that offer the opportunity to reflect on who and what we are collectively, as a society." 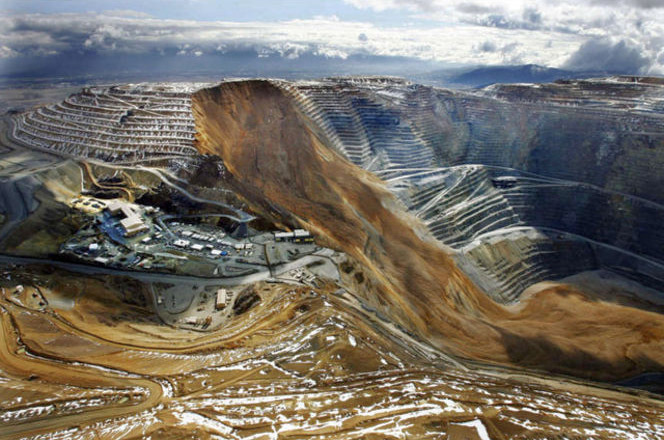 Last night's landslide only adds to its terrestrial interest, giving us hints of what fate might ultimately befall all the many mines, flattened mountains, hydroelectric dams, and other gigantic acts of human industry—open wounds, lasting far longer than cities—that currently surround us.